Unique, two-tone flowers all summer long. 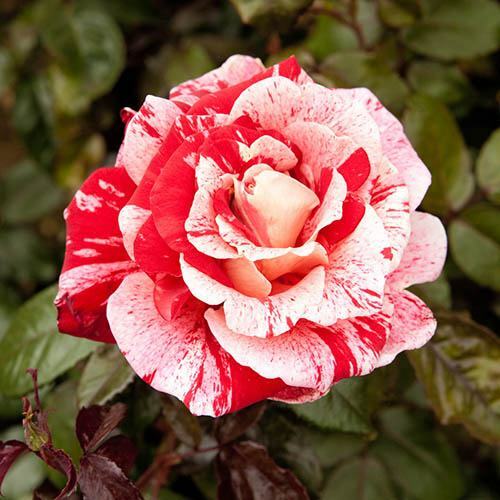 An unusual bicolour rose - each flower is different! 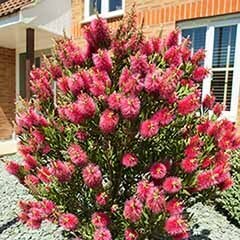 Produces masses of red and white splashed blooms. Repeat flowering from summer to autumn in flushes. 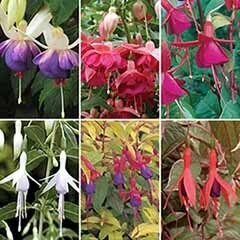 Great in the garden border, or big pots. 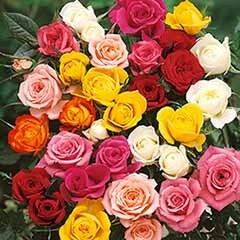 Supplied as a potted rose in a 3L pot ready to plant out. 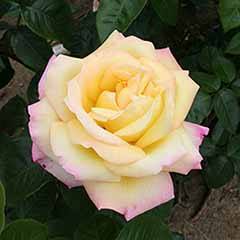 And now for something to amaze your friends and family - an eye-catching, bicoloured rose, producing masses of amazing two-toned flowers. 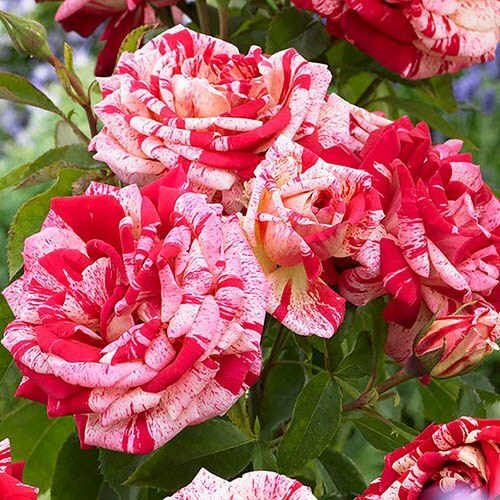 A great partner for our other striped rose, 'Oranges and Lemons', 'Raspberry Ripple' has red blooms that are boldly splashed and striped with white, superb as a cut flower and striking in mixed flower borders. 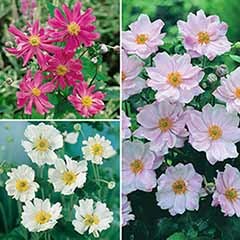 A repeat flowering floribunda rose, Raspberry Ripple produces clusters of large, blooms throughout the summer and into the autumn, so if you're looking for a rose a little out of the ordinary, then this is the one for you. 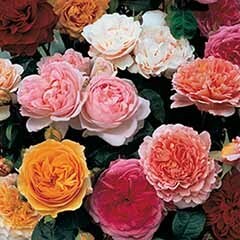 Being a floribunda, this rose bush has good disease resistance, is hardy and easy to grow, and produces large clusters of lightly fragrant blooms over a long season, making it ideal in the garden or in a large pot on the patio or balcony. 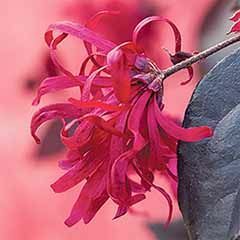 The incredible colour is caused by what is known as a 'jumping gene' which creates instability in the colour genes of each flower, so it can be either of two colours. 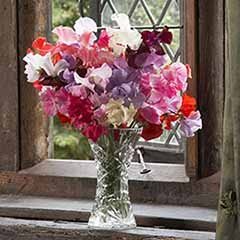 This makes each petal and each flower 100% unique, giving a lovely contrasting mix - and it only occurs in red and orange roses. 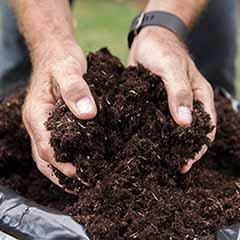 When pruning, make sure that your secateurs are clean and sharp to prevent squashing stems and introducing disease.Add mycorrhizal fungi to the roots when planting to help the plant establish quicker. Excellent service. Had a problem with a purchase and within 5 days it had been replaced. Most of the time they are very good. But there was no trellis for the plant to climb. A bit disappointed. 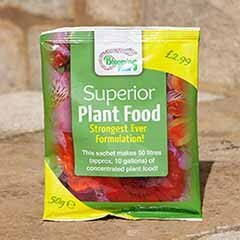 "Supplied as an established plant in a 3L pot." No trellis should have been included, I'm afraid.